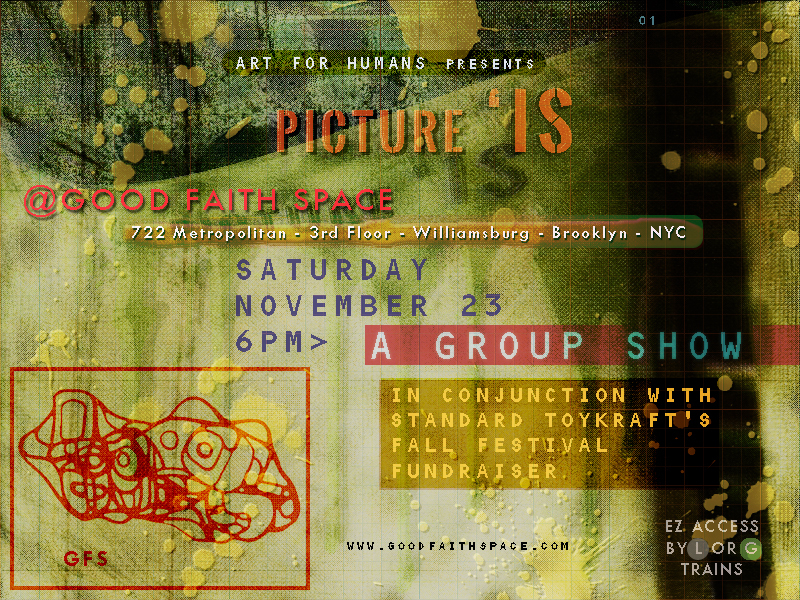 Art for Humans [AFH] is proud to present "Picture 'IS," a group show for small format art at Good Faith Space [GFS], Saturday, November 23, 2013, at 6PM, in conjunction with Standard ToyKraft's Fall Festival Fundraiser. Good Faith Space is located at 722 Metropolitan in Williamsburg/Brooklyn, on the 3rd Floor, at Standard ToyKraft. "Picture 'IS" will feature photos, prints, paintings, graphics and sculpture by GFS collective artists who exhibited in 2013, including Wilson Novitzki, Shane Kennedy and Dane Rex, as well as some of the artists who will be exhibiting in the GFS project room in 2014, including Jakey Begin, Sebastian Gladstone and Ambrose Curry, III. 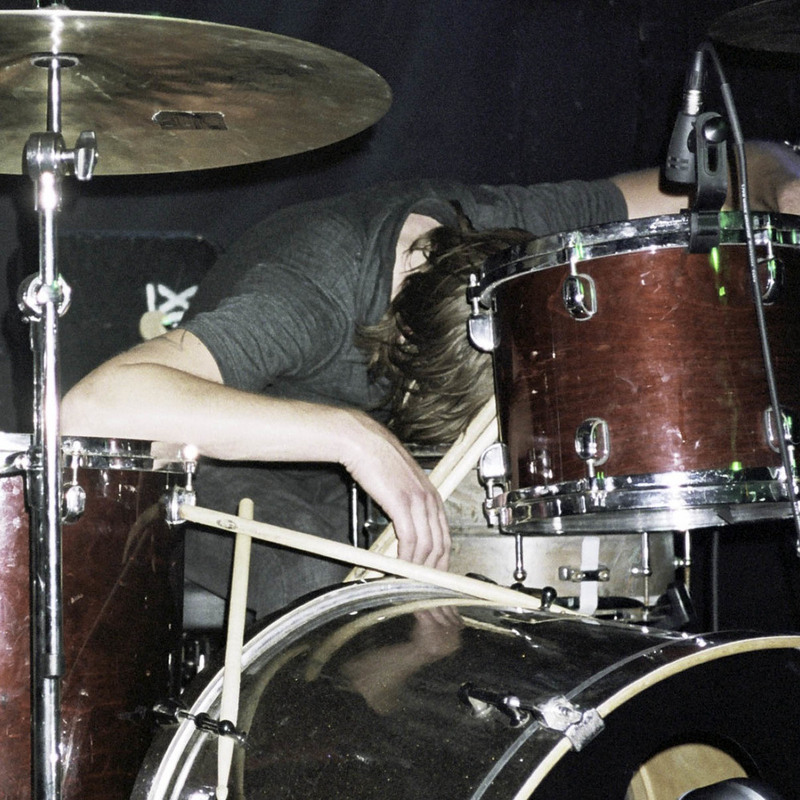 The full roster of "Picture 'IS" artists will be announced on the GFS website, via e-vites and event sites online. GOOD FAITH SPACE [GFS] currently inhabits the Project Room of Standard ToyKraft in Williamsburg, Brooklyn, NYC. The mission of GFS is to platform Dimensionist Art projects and multidisciplinary collaborations by accomplished and emerging creative practitioners, and to serve as a nexus for 4D discourse in NYC. Paul McLean is lead artist of GFS. Lauren Guardalabene McLean is director of GFS. Core GFS Collective artists include Wilson Novitzki, Shane Kennedy and Dane Rex. GFS is sponsored by Kellogg LTD.